Hello lovely readers! Can you believe it’s been a whole 5 months since I’ve added another part to this series?? The first was Anastasia Beverly Hills Dipbrow Vs Brow Wiz which you can read here. 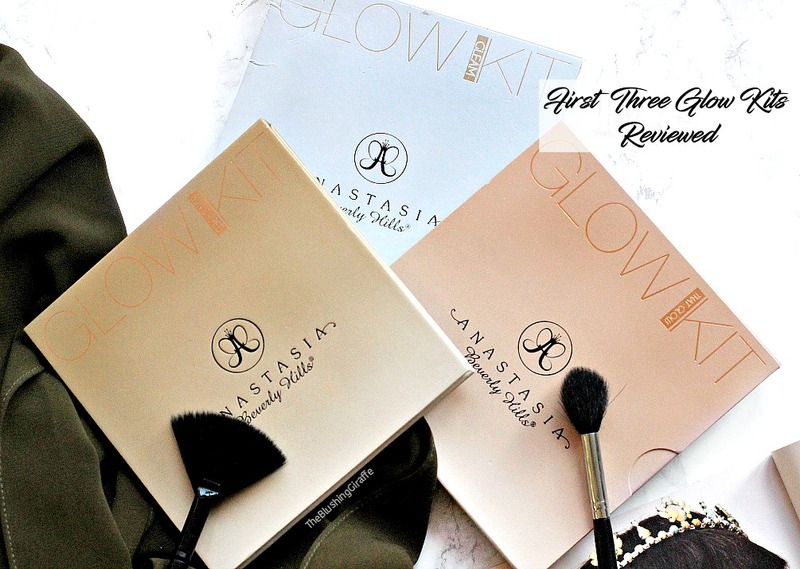 To sum it up this isn’t necessarily about finding dupes, but more about comparing two similar products I own, listing out the pros and cons and hopefully giving you an idea about which one you may prefer. Having said that today's This Or That is actually more of a dupe, using a mini of Benefit’s High Beam and the budget friendly MeMeMebeat the blues Pearl Pink. I have already reviewed the golden version of this here which I really have been enjoying, especially for mixing in with my more matte foundations. 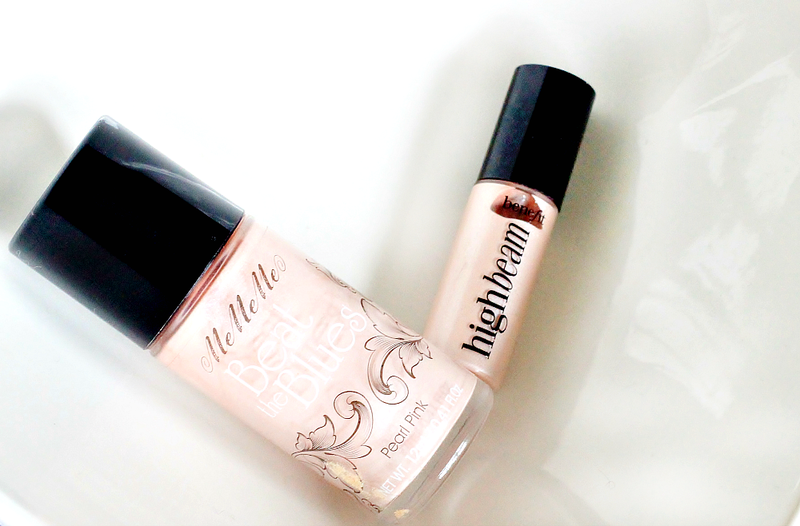 So starting with Benefit’s High Beam the full size contains 13ml and is available for £19.50. It can be used underneath your foundation, mixed in with the base to add a glowy look or ontop of your base for a beautiful highlight. The applicator of the mini is similar to that of the mememe alternative and it makes controlling where you put the product very easy. The best thing about Benefit’s High Beam is how richly pigmented it is and how it is easy to blend out. In general I favour golden toned highlights more but this pink sheen looks stunning when I’m not going for a particularly bronzed up look. It catches the light beautifully as it blends out into a slightly more silverish colour which looks beautiful in photos. It is pricy! Yes you get a good applicator and a little goes a long way, but I just wouldn’t spend so much on one little 13ml bottle. If I wanted to splurge on a liquid highlighter from a high-end brand I’d opt for NARS, put in a few more pounds and get 30ml instead. (They are currently on sale for £20 here!). 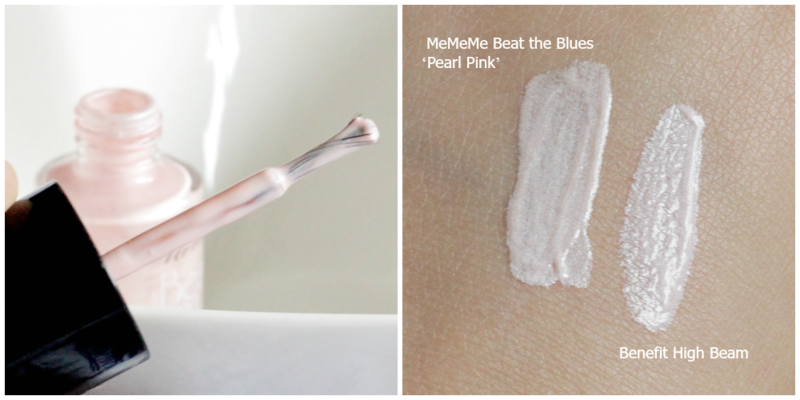 The MeMeMe Beat the Blues Pearly Pink contains 12ml of product and costs £5.50. Applicator is easy to use as with Benefit’s, it puts the illuminator exactly where you need it and doesn’t distribute too much either. The colour of this when first applied looks practically identical to the Benefit version, however when blended out this is ever so slightly more sheer and on the silver side rather than the pink. I actually prefer this a lot more because as mentioned above I’m not too fond of pink highlights on my yellow/olive skintone. Although the Benefit one is still blendable I just prefer that silver sheen. It makes a stunning difference when applied, my cheekbones stand out and it catches the light just as beautifully as the Benefit one. It’s a quarter of the price! And it does just as good a job, with only a minor difference in colour, so small you can hardly notice it. 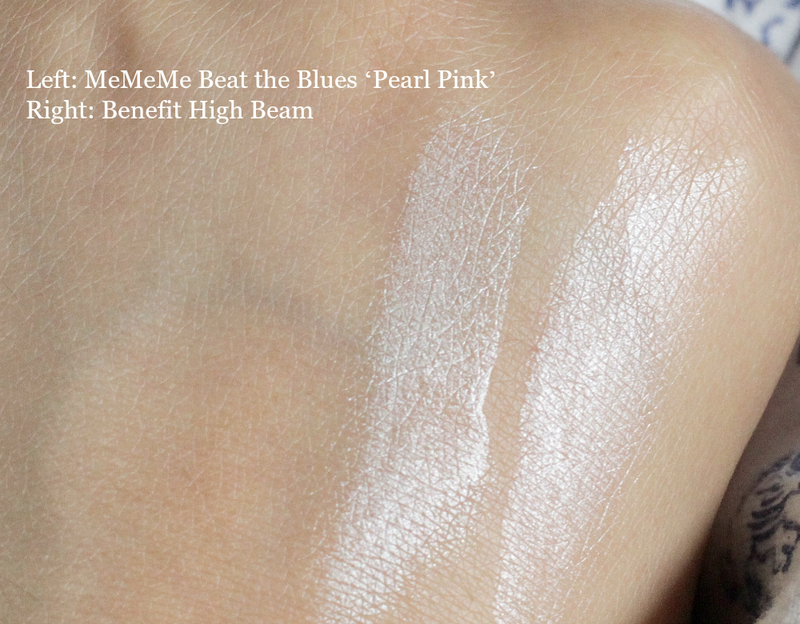 Not as easy to find compared to the Benefit High Beam - you can find it on glossybox and Amazon.co.uk. So on to the conclusion.. The versatility of liquid highlighters/illuminators are so under-rated in the makeup world. Since testing these out thoroughly and also using Oyster Gold I have had a much more bright and glowy makeup look without appearing shimmery or glittery. If you're looking for 'zat highlight' you should probably look into purchasing a liquid one as a base which'll ensure your glow lasts all day AND all night if you need it to! I'm not sure how well you can see from the swatches above but High Beam is ever so slightly more pigmented and pink toned. I only really noticed this when I swatched it on my hand - on the skin it was undetectable. 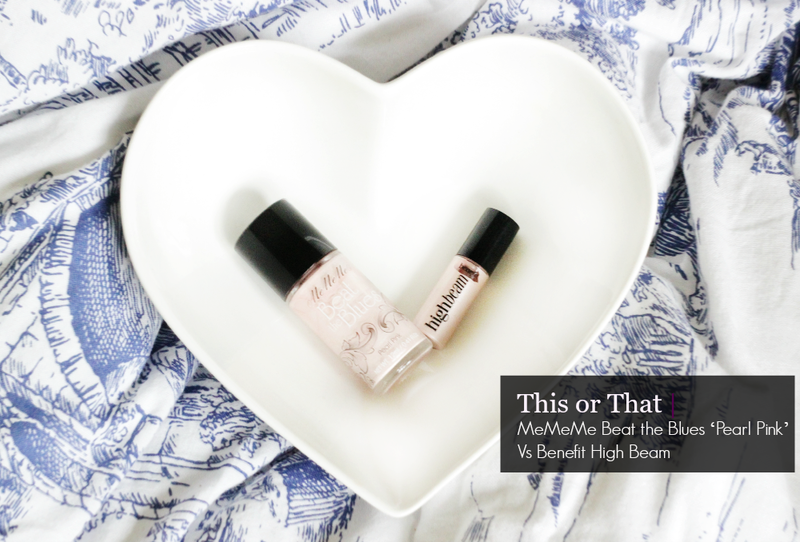 For me it's definitely not enough of a difference to justify that price difference as they both give such a flawless highlight when blended out well, so if I had to choose one to buy again it would be the MeMeMe Beat The Blues Pearl Pink! Have you tried either of these? What is your favourite Illuminator?